After announcing a great cast (and some stellar first look images of Harbour as Big Red) I was eagerly anticipating ‘Hellboy,’ which serves as a reboot of Guillermo del Toro’s films of the same name. 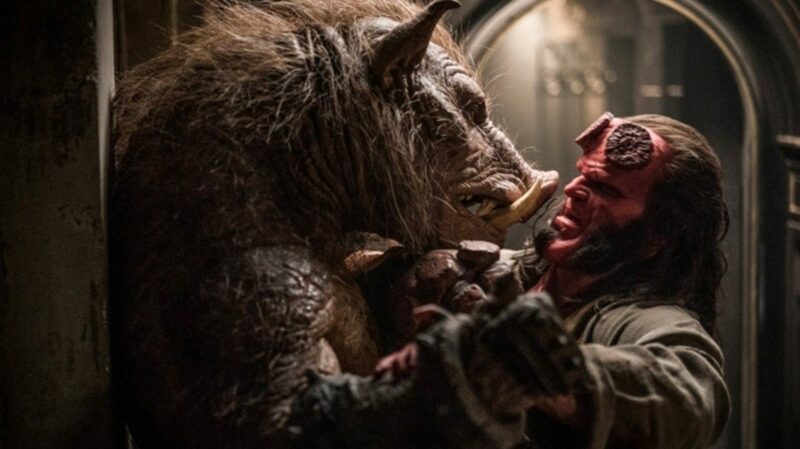 Neil Marshall’s ‘Hellboy’ is its own beast (of the apocalypse). While also being a raunchy comedy, ‘Hellboy’ quenches your horror thirst with scenes involving characters like the Baba Yaga. In fact, the best scenes in the movie were horror driven ones. The tone, lighting, and cinematography all fit best in those scarce parts of the movie. Given that Marshall comes from a horror background, it’s no surprise he excels in this area. Marshall also knows how to craft an epic battle scene, earning an Emmy nomination for his work on the penultimate episode of the fourth season of ‘Game of Thrones.’ Sadly, only a few of the battle scenes really stood out. Part of this is due to the fact that half of the fight scenes are interrupted by Mila Jovovich’s villainous Blood Queen before anything noteworthy happens. Although, there were two really solid fight scenes in the film. 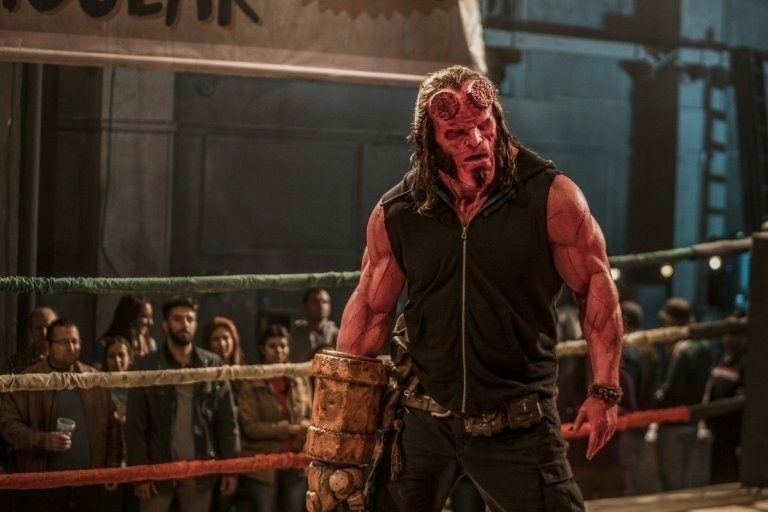 The first is a mini-adaptation of Hellboy In Mexico and sees the titular character throw down with a vampire in a wrestling ring. 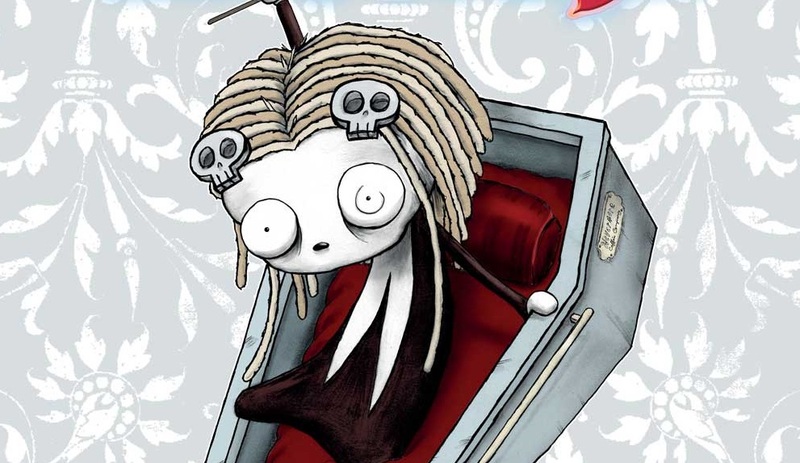 It is a great introduction to the character and establishes just how much gore we should expect (answer: a lot). Additionally, the scene also establishes early on that the film has a creature feature vibe to it. The second great action scene saw Hellboy fighting three giants, and it was a total gore fest with some fun monster takedowns. The majority of the CGI is pretty solid, especially with the monsters. There is a hefty mix of both practical and CGI effects in the film, and, 90% of the time, the CGI is damn-near perfect. Although, there were a few instances where it was rather rough; one scene, in particular, was very reminiscent of the Scorpion King from ‘The Mummy’ movies. I’m happy to give those instances a pass, though, as they are likely due to not having enough time to perfect things post-reshoots. The practical effects looked stunning, specifically Hellboy himself, Grugach, and the Baba Yaga. Despite all the great things about ‘Hellboy,’ it is a little lacking in terms of script and story. The dialogue was rough in certain parts of the film, specifically the latter half. There seemed to be a lot of missing lines of dialogue, so many conversations came off a bit mismatched. 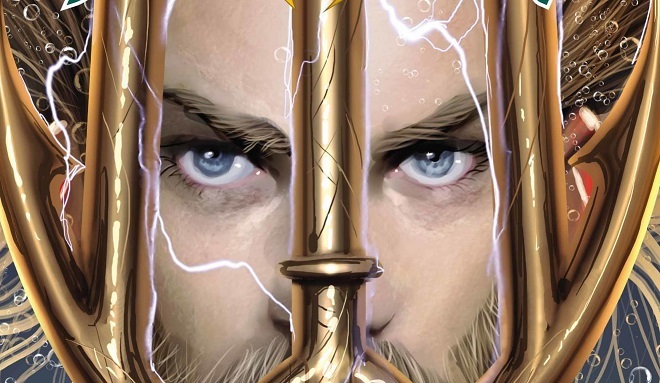 The story felt a little rushed, but given that it adapted three books in two hours, it turned out better than I expected. 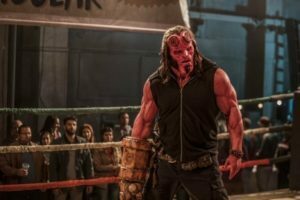 The characters were overacted to the point where ‘Hellboy’ became a B-movie, and if they had embraced that more (like Thomas Haden Church’s Lobster Johnson), it would have been more than just an entertaining popcorn flick. Harbour is fantastic as Hellboy, with his captivating and engaging personality making him the perfect actor to lead a franchise. He is a huge part of what makes the movie so enjoyable and is by far the best aspect of the film. Jovovich’s Blood Queen is a cheesy villain who isn’t quite as threatening as she should be. Jovovich herself delivers an enjoyable enough performance that it evens out. McShane, Lane, and Dae Kim made good supporting characters, although they needed more screentime. Overall, the delightfully absurd ‘Hellboy’ manages to please thanks to a charismatic cast and non-stop story filled with insane chaos.